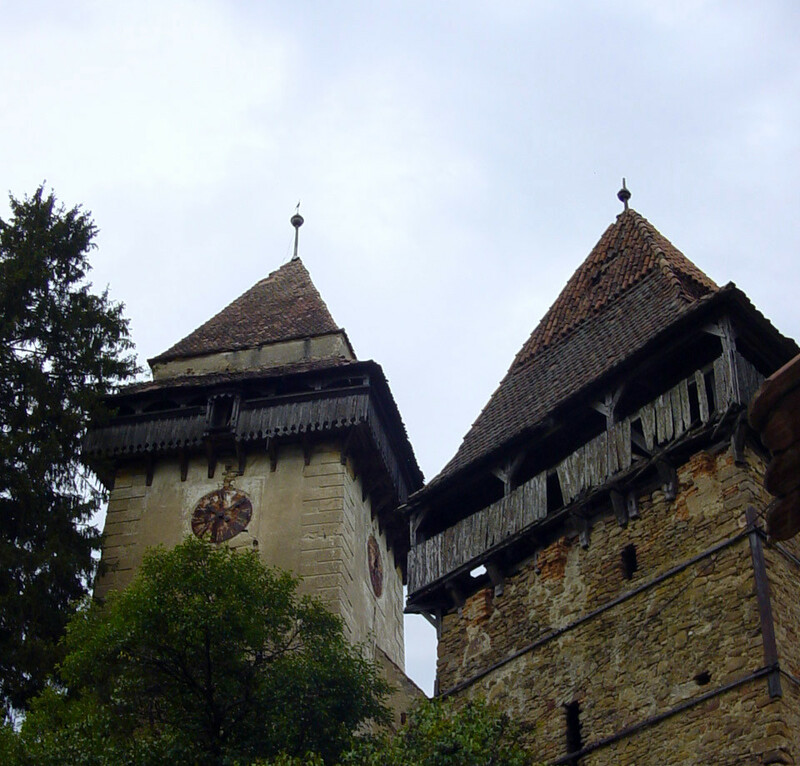 The fortified church from the village of Apold (or Trappold in German and Apold in Hungarian), Mures county dates back to the 13th century. The small hall-church was built in Late Gothic style. Its western side tower was annexed to the building later on and the church was fortified during the 16th century. The inner belt, destroyed in the 19th century, was dominated by a massive oat tower, used for storing grains. The altar and the organ were constructed in the 19th century by Johan Theiss from Sighisoara. The village of Apold lies 15 km south of Sighisoara, in Mures county.